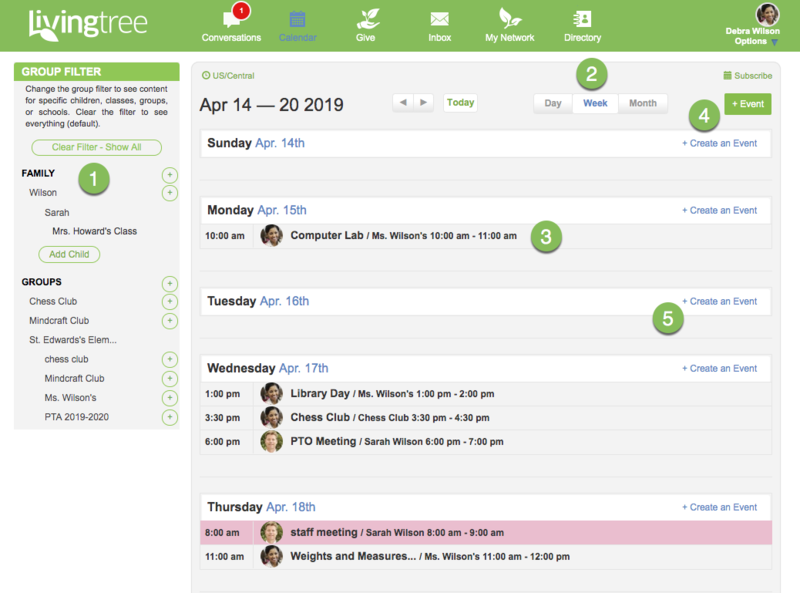 The unique Livingtree shared scheduling system allows you to filter by child, family, group, organization, etc. simply by adjusting your view via the left navigation panel. This Calendar guide will help explain how to manage your calendar, set up signups, add reminders, RSVP, and more. Use your left navigation panel to easily filter the activity in your calendar. You can view all activities when "Clear Filter" in the navigation bar is selected. Select a child, family, group, etc. to filter your calendar events. Select 'Day,' 'Week,' or 'Month' to view your calendar accordingly. Want to learn more about a specific event, or edit an event you created? Simply click on the event to pull up the details. Click here to create an event with details (sign ups, recurrence, reminders, RSVP, etc.). You can create a quick event by clicking on any day in the calendar. If you need to add details to your event, click on the 'Add Details' link.